Breast cancer has claimed the life of award-winning pioneering Australian sports journalist Rebecca Wilson. BREAST cancer has claimed the life of an award-winning pioneering Australian sports journalist. Rebecca Wilson died early today. A well-known figure across radio and print, the 54-year-old News Corp scribe had been battling breast cancer for many months, her husband John Hartigan, and sons Tom & WIll said in media statement. Blazing a trail for female journalists in the male dominated sports reporting industry, Ms Wilson was often the target of bullying for simply doing her job. "We are so proud that she was so fearless in her chosen role as a sports journalist," her family said. "She brushed aside evil trolls, bullies and organised crime figures to prosecute her craft. "She proved that women had an equally important role in sports journalism as her male counterparts. "We are so proud that she was so fearless in her chosen role as a sports journalist." Ms Wilson passed away peacefully at the family's Sydney home. "Courage has always been a significant part of her DNA, no less in her desperate battle against her insidious disease," her husband and sons wrote. "Rebecca kept knowledge of her illness a closely guarded secret. "The majority of her friends, colleagues and indeed members of her family were unaware of the extent of her illness. She did so to limit their suffering." Media professionals across the country paid tribute to Ms Wilson, using Twitter to express their grief and shock. "So sad. Beautiful, brilliant, brave Rebecca, rest in peace," controversial News Corp columnist Miranda Devine wrote. Julia Zemiro recalled Ms Wilson as "funny and generous" and someone who "made me feel so welcome on The Fat sports shows. My thoughts are with her family and friends." 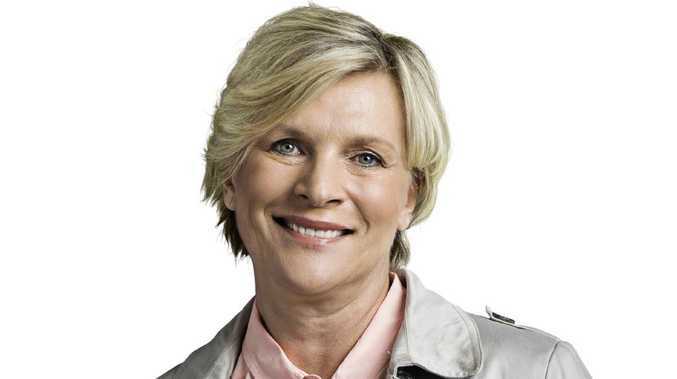 "Vale Rebecca Wilson, great sports columnist, devoted mother, wife and friend. Shocking news of her passing, to breast cancer," Peter Fitzsimons said. Television host Lisa Wilkinson said: "So sad to hear of passing of my former Beauty & The Beast partner in crime #RebeccaWilson. Thoughts so much with Harto & her treasured boys."